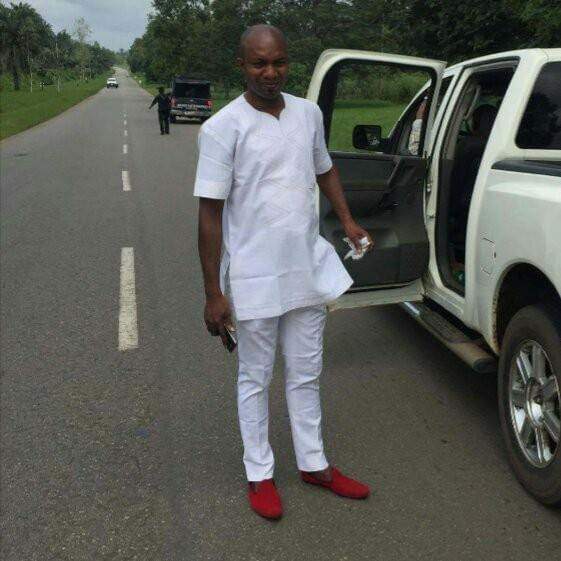 Despite the intended humiliation for online personality and Administrator of APGA Interactive Forum [AIF Media] on Facebook, Eneh Victor Chigozie by allegedly APGA House of Representatives candidate for Anambra East and West, Hon Chinedu Obidigwe, Eneh emerged a hero from police brutality. 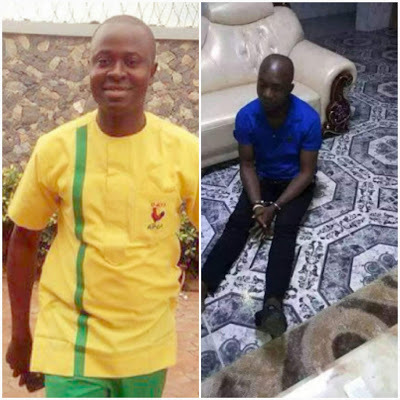 Immediately Eneh was arrested at an ungodly hour in his residence at Enugu, coalition of other online personalities and social media gurus converged in solidarity for Eneh even politicians joined too. It is collective agreement among online publishers that those who schemed his arrest and humiliation should hide their faces in shame because their action was a political miscalculation. So many people came to Eneh’s rescue but Frank Chinedu Maduka , Dr Patrick Ifeanyi Ubah, Chief Bonaventure Mokwe among others stood out in ensuring Eneh came out successfully from the Anambra state police command where he was taken to after a humiliating scenario at the residence of Chief Obidigwe allegedly. Eneh was allegedly arrested at Enugu around 1am Thursday morning and was taken to Aguleri to Chinedu Obidigwe’s house by policemen believed to be on illegal duty. Obidigwe allegedly flogged Eneh as a headmaster flogging his pupil for exposing the perceived wrongs of APGA leaders whereas Obidigwe’s media team have been running riot online against some of our best unchallenged. What an irony? Odogwu media refused to join the media exposure against Obidigwe and co travellers before now not because of personal gains but because we were part of enthroning Obidigwe as a ‘nobody’ to today’s ‘somebody’ by promoting his image as a comrade until he clinches the Councilorship to Chairman and the rest is history. His actions so far disappointed our expectations especially APGA primary perfidy and some other minuses he entangles himself with yet to be enumerated for him. But despite, this we had looked at the number of youths in appointment in Governor Willie Obiano’s ‘bloated cabinet’ as a plus to him no matter how anyone looks at it. But he has crossed the line by hunting and harming social media influencers, yet his men on social media run riot daily unmolested. I read what Chioma Duru and Ilo Campglory posted on Facebook against Eneh in support of allegedly Obidigwe’s ordered arrest of Eneh and I wept. With this arrest, I am no longer safe and I won’t be 100 percent sure , Mokwe and co shall do for me what they did for Eneh. So the battle has to start against all tyrants and their supporters. Any violation of a media person’s rights for an investigated report even near investigated truth must be rebuffed. Half truth is even perfect news in a situation you requested for correct version and got no answers, but we are not in support of fake news and would never be unless an innocent error. As I write , the Inspector General of Police , Police Service Commission , the state police command and other security agencies are awaiting the petition on this regards. The Senate and Presidency as well as all offices on Human Rights and Civil Society Groups are waiting for the petition against Obidigwe and policemen used to intimidate Eneh for upholding the society and its readers accountable . Gentlemen, let me appreciate all of you. ”I am currently at the hospital from varying degrees of injury I sustained from the beating, brutal torture, biting and attempted murder in the hands of Chinedu Obidigwe and his boys. ”The beating I received in Chinedu Obidigwe’s house at Aguleri can not be explained. ”I am currently hospitalised. I will give details tomorrow. ”Let me also thank Sir Emeka Offor. He also moved in to say NO, to the plot to end Eneh. ”Senator Adaeze Oduah, thank you. ”Bonaventure Mokwe, when I saw the lawyer you sent, I said, God is still saying that efforts to clap down on truth must not stand. ”Dr Patrick Ifeanyi Ubah, Ebube Chukwu Uzo, I can’t thank you effort. What you did for me today, I do not know how to pay back, but God will disgrace your enemies and continue to lift you. ”Dr Chike Obidigbo, thank you sir. So many people sending in wishes. I am overwhelmed. ”Social media community, oh my God, thank you, thank you, thank you. ”I will give details tomorrow. Let me take care of my health first.